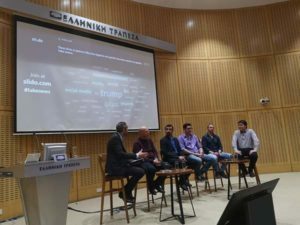 Dr. Michael Sirivianos was invited to talk about ENCASE project and fake news, on the event with the title: “Fake News: The truth in the age of the internet”. 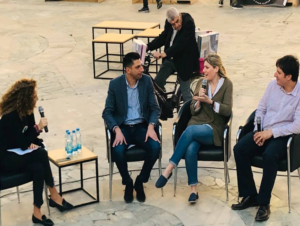 The event is hosted by the Youth Board of Cyprus and Erasmus+ Youth Cyprus, and it took place at Hellenic Bank’s Administration offices in Cyprus. 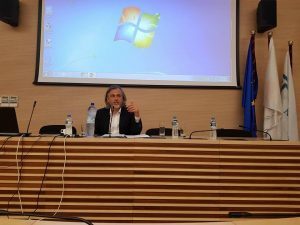 The main speakers of the event will be “Greek Hoaxes” and George Pavlides (Chairman of the Journalism Ethics Committee, Electronic Media, Member of the Union of Cyprus Journalists and Professor of Journalism). 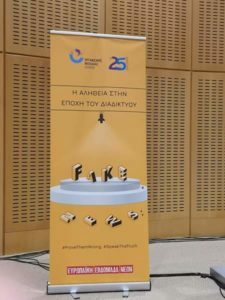 “Greek Hoaxes” is the first, and so far unique, concerted effort to shoot false online news. 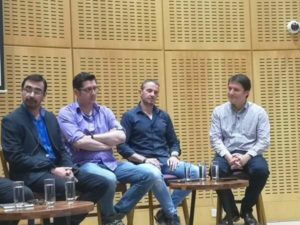 Also, journalist Marinos Nomikos participated as a speaker to this event. 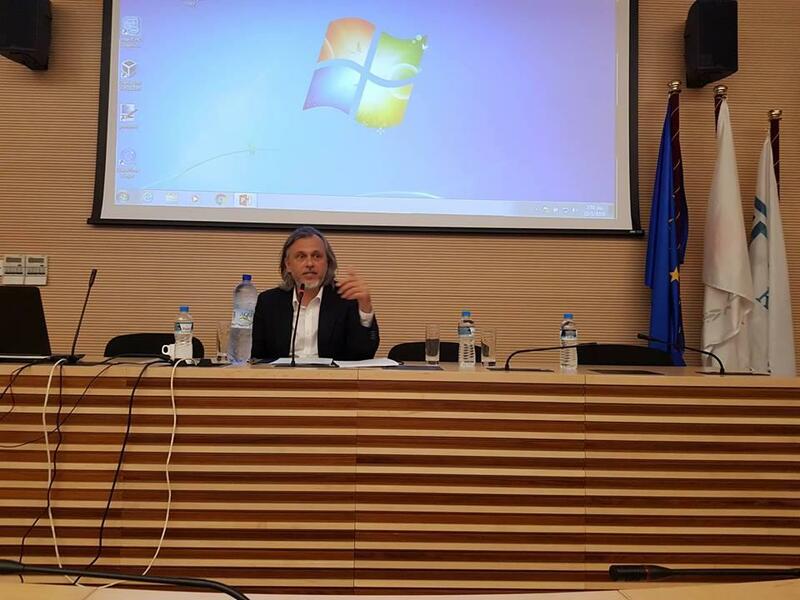 The discussion was coordinated by the Executive Director of the Youth Organization, Menelaos A. Menelaou. 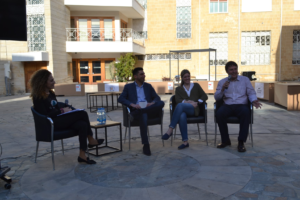 Dr. Michael Sirivianos, from the Cyprus University of Technology, was invited to participate in the discussion with the title: “How can journalists, scientists, and the public, in their way, prevent misinformation of the media?”. 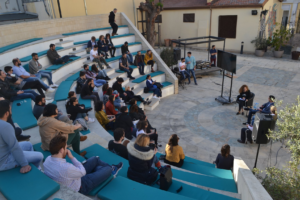 An event organized by the Cultural Institute of the Bank of Cyprus. 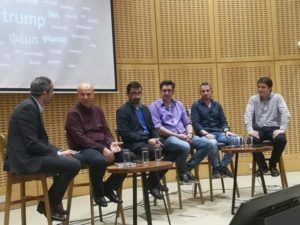 Myrtani Pieri and Nicolas Zannettos (Chief Editor of Alpha TV in Cyprus) took part in the discussion. 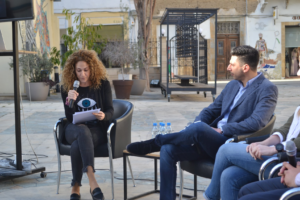 The moderator of the discussion was Louiza Sophocleous. 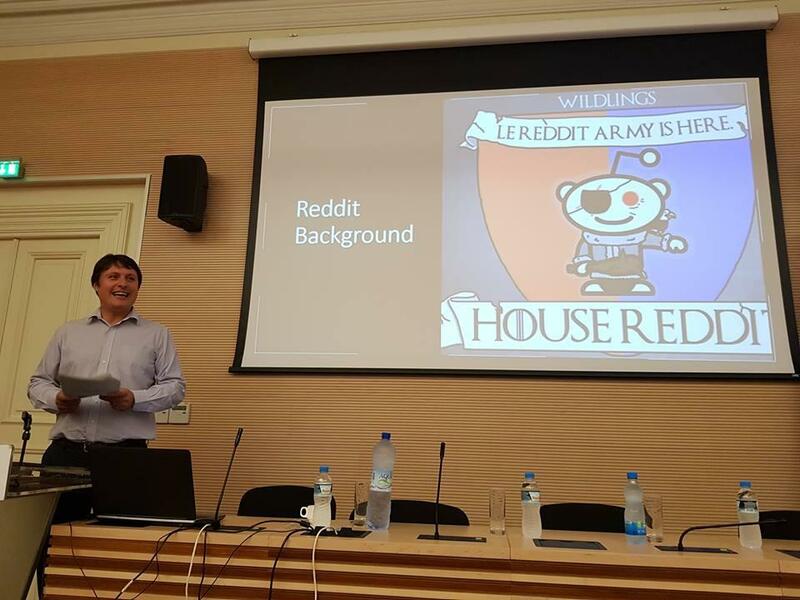 Dr. Michael Sirivianos from the Cyprus University of Technology was invited from the University of Nicosia to talk to a seminar, titled “On the Origins of Memes by Means of Fringe Web Communities”. 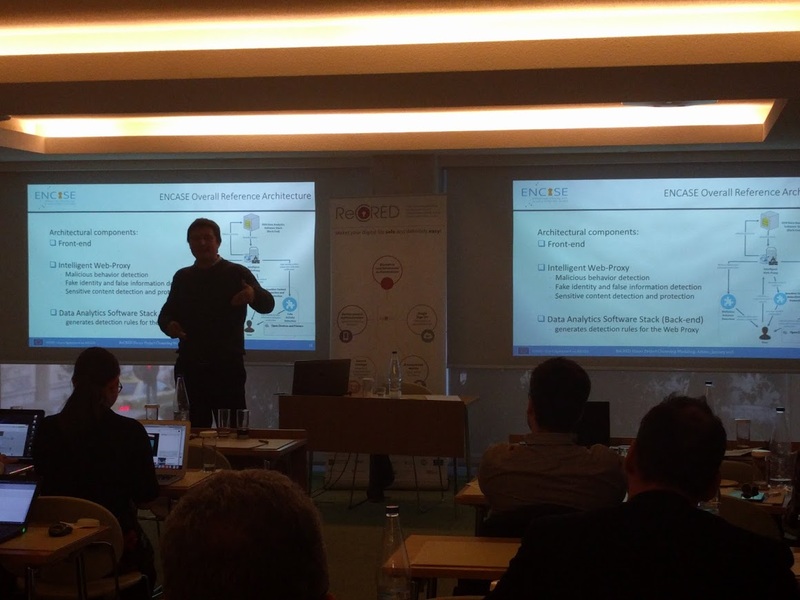 Dr. Sirivianos talked about ENCASE project goals and aims. 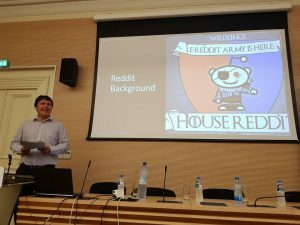 In addition, he discussed our research “On the Origins of Memes by Means of Fringe Web Communities” and how “funny” images (memes) may be used to disseminate hate and radicalization, and what ENCASE is trying to do to detect and stop this. Approximately 20 people from academia attended this seminar. Details about the seminar can be found here. 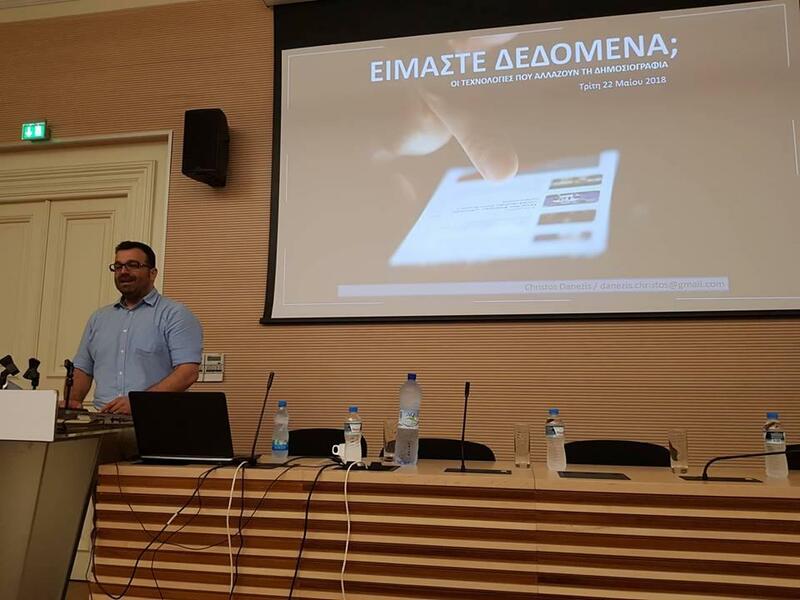 Dr. Evangelos Kotsifakos from LSTech was invited from the Open University of Municipality of Peristerion, Athens, Greece to give a talk about protecting online privacy. 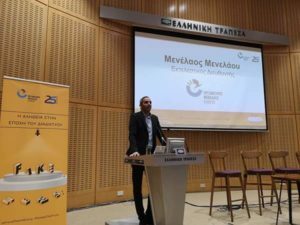 Dr. Kotsifakos presented the aspects of personal data, the threats that users face online as well as the related regulations focusing on GDPR, the obligations of the companies and the rights of the data subjects. Furthermore, he discussed the threats that especially minors are facing when they are sharing personal data online. In this context, he also presented the ENCASE project and its objectives. 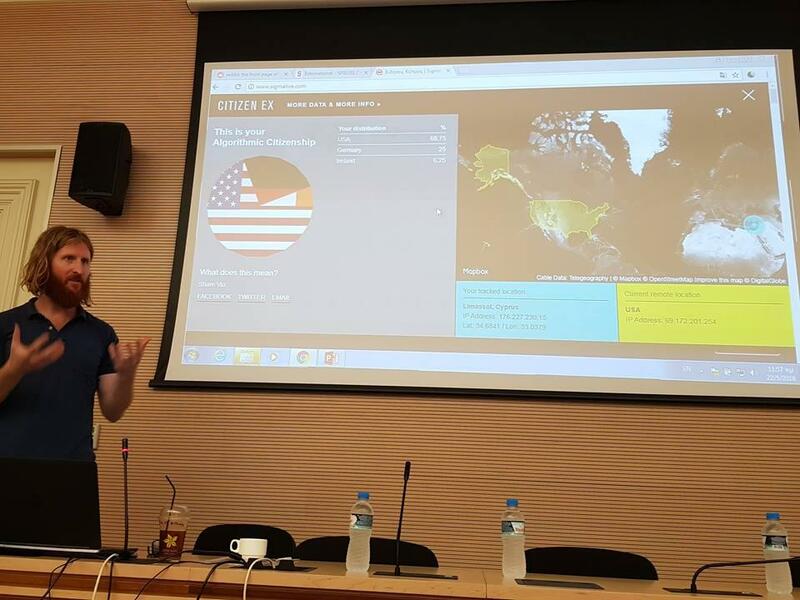 Antonis Papasavva talks about the ENCASE system and its functionalities during the CYberSafety Kick-Off meeting. 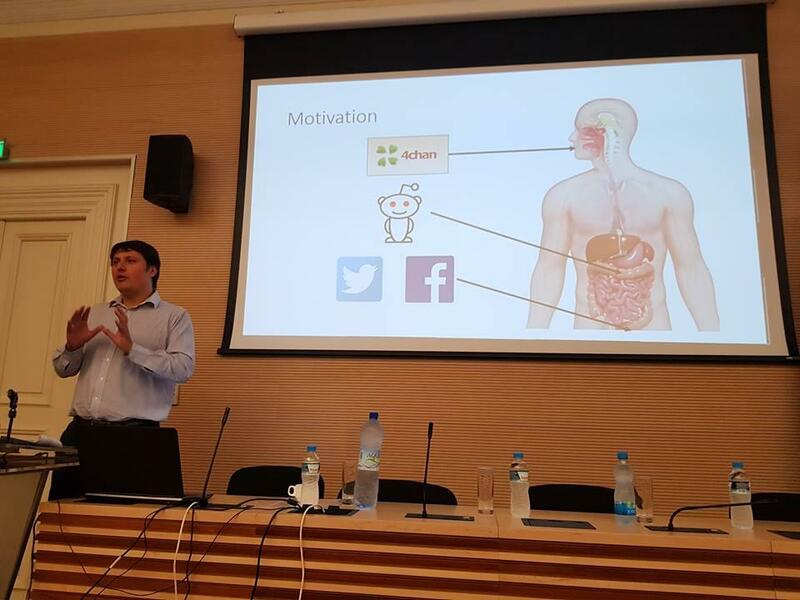 Dr. Emiliano De Cristofaro from the UCL presented his research about Studying jerks on the Internet: data-driven measurements of cyberbullying, hate, and misinformation, in the Summer School at Å ibenik, Croatia . 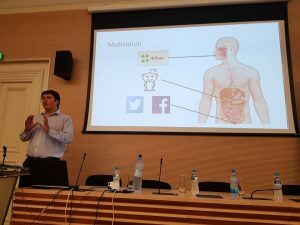 Dr. Nicolas Kourtellis from Telefonica Research talked about his research in analyzing the multiple facets of cyber-aggression on social media at the Computer Science Colloquium Series event that took place at the University of Cyprus. In recent years, offensive, abusive and hateful language, sexism, racism and other types of aggressive and cyberbullying behavior have been manifesting with increased frequency, and in many online social media platforms. In fact, past scientific work focused on studying these forms in popular media, such as Facebook, Twitter, Instagram, Ask.fm, etc. 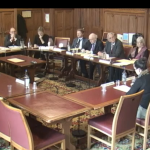 However, these platforms have not adequately addressed the problem of online abusive behavior, and their responsiveness, as well as effective detection and blocking of such inappropriate behavior remain limited. In this talk, I will cover our recent works, in which we propose a set of algorithms to detect and mitigate such complex user behavior. In these studies, we collect, analyze and annotate user content from Twitter, and employ advanced machine and deep learning approaches to detect online aggressive behavior, in its various facets. 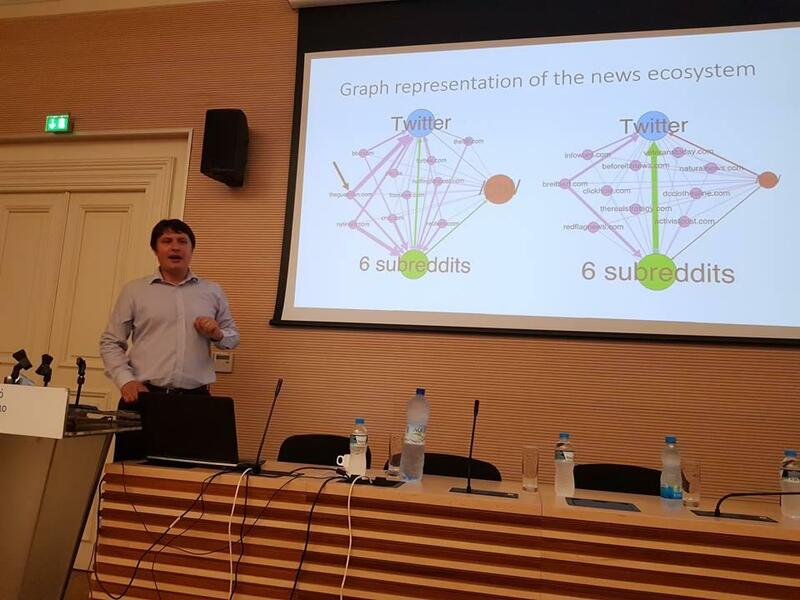 We use a diverse set of features, extracted from textual, user and network-related activities of Twitter users, and demonstrate that such characteristics can boost the algorithmic performance for detection cyber-aggression. Furthermore, we make our collected and annotated datasets and algorithms publicly available for further research and development by the scientific community. This research has been supported by the Marie Sklodowska Curie RISE EU project ENCASE, No 691025. 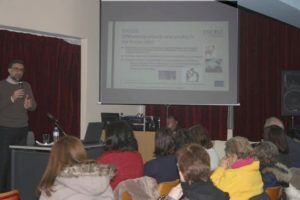 The EU funded project NOTRE (https://notre.socialcomputing.eu/) organized a public event with the title: “Are we data? 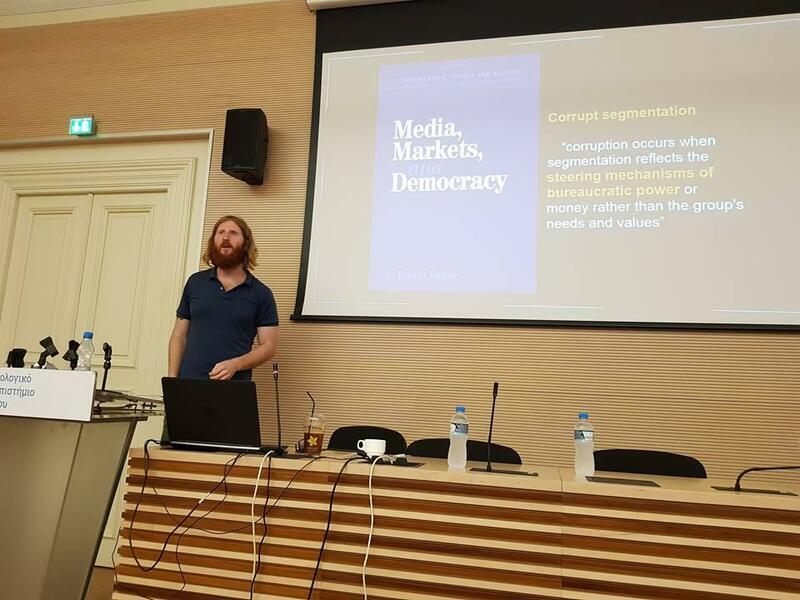 Identity, journalism, democracy in the age of big data”. 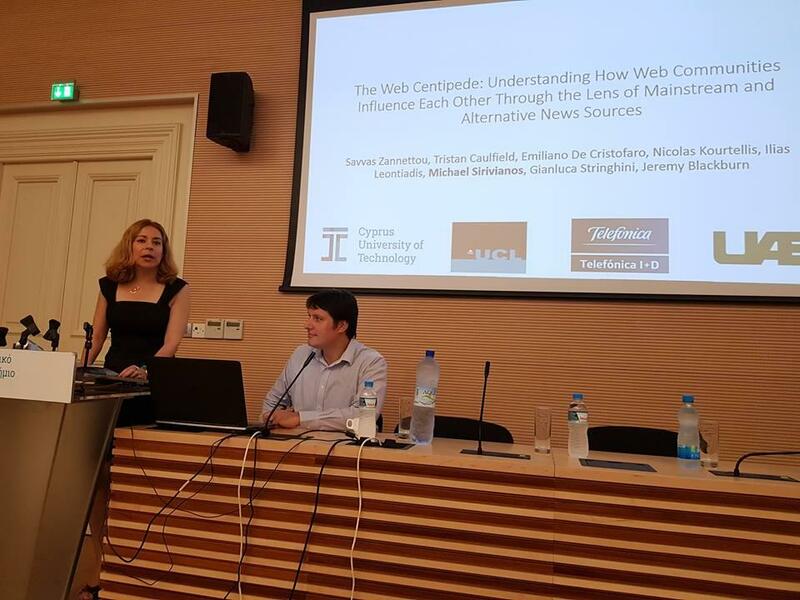 Dr. Michael Sirivianos was invited to present ENCASE’s “The Web Centipede: Understanding How Web Communities Influence Each Other Through the Lens of Mainstream and Alternative News Sources”. For the agenda and more information, please see here. Baby Academy (https://www.babyacademycy.com/en/home/) is a Non-Profit Organization founded by parents in order to offer support to new and soon-to-be parents, through both scientifically proven and practical information. With this objective in mind, the academy contributed to the “Screen Free Week” annual event by organizing a seminar. This event aims to motivate parents and children to rediscover the joys of life beyond the screen.Dr. 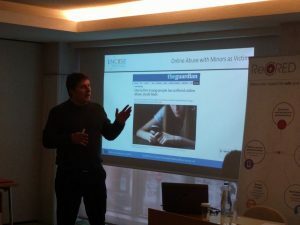 Sirivianos was invited to present ENCASE’s goals and research in order to spread awareness about the threats social media pose to minors, countermeasures, and how the ENCASE tools can help protect children. 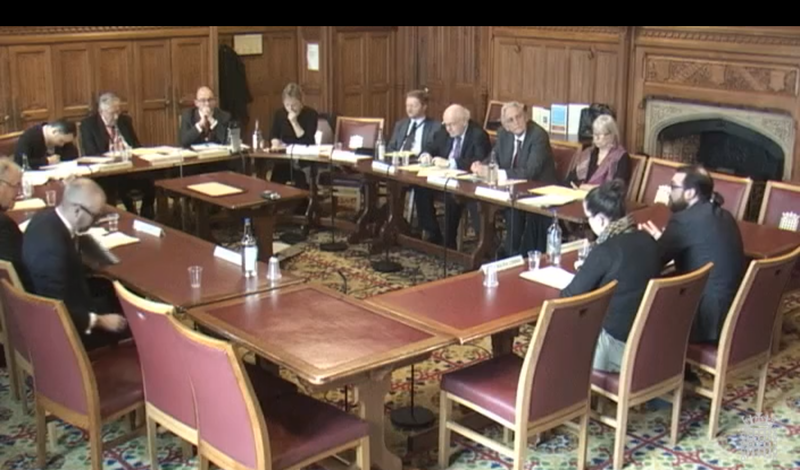 You can see the presentation here. You can see the 5-day seminar schedule here. You can see the leaflet here. 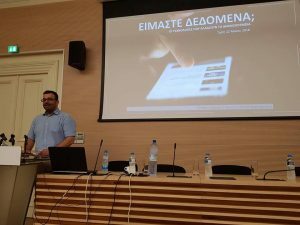 Dr. Nicolas Kourtellis from Telefonica Research talked about his research in analyzing the multiple facets of cyber-aggression on social media at the Institute of Computer Science (ICS) of the Foundation for Research and Technology – Hellas (FORTH). 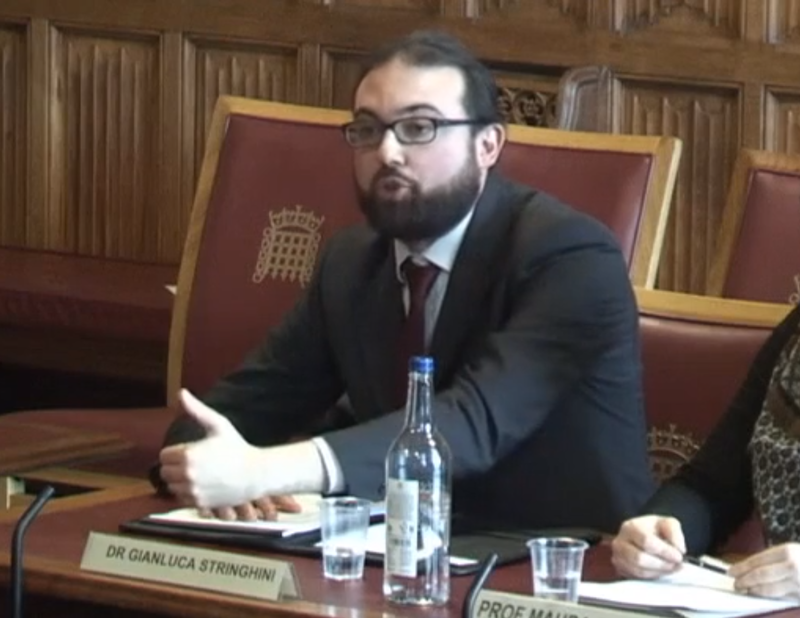 Dr Gianluca Stringhini from UCL was a witness to the International Relations Committee at the UK Parliament. 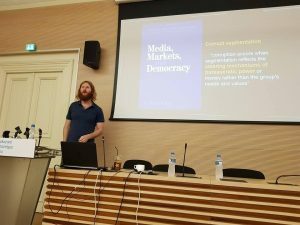 He talked about his research, which focuses on cybercrime and how organized criminals and groups use technology and the Internet to perpetrate crimes. 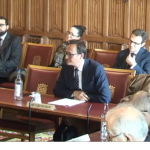 The discussion was around the threats and challenges of cyber state and non-state actors in the UK against such crimes. ENCASE attended the H2020 Project Clustering Workshop that took place in Athens on the 31st of January. 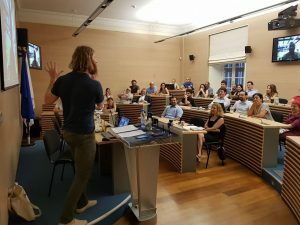 This workshop was organized by the ReCRED project, which along with another 21 H2020 projects, spent the day sharing their innovative ideas and goals. 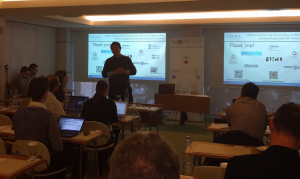 The ENCASE Project was presented by Dr. Michael Sirvianos from the Cyprus University of Technology. The presentation consisted of the initial incentive that urged the ENCASE consortium to research and develop innovative ways for protecting minors in Online Social Networks. In addition, it highlighted the ENCASE Architecture and the Design Principles of the project along with its ambitions and aims. Download the ENCASE presentation here. Download the Workshop agenda here. Antonia Gogoglou from Aristotle University of Thessaloniki, SignalGeneriX Ltd Cyprus did a presentation about the ENCASE Project at the Data Intelligence Conference. 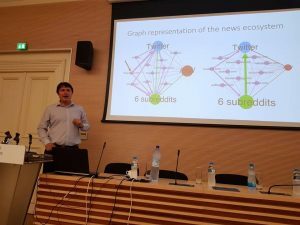 Associate Prof. Nick Bassiliades of the Aristotle University will be visiting CUT to present a lecture on Web Information Extraction, Semantic Entity Identification and Linking. The talk will cover some aspects of Web Information Extraction so that extracted entities can be uniquely identified by semantic similarity search. 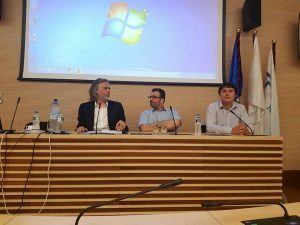 At the Aristotle University premises, a presentation took place within the framework of sharing knowledge derived from the activities of the ENCASE European Marie Curie Program. Savvas Zannettou, a PhD student from Cyprus University of Technology, covered the aspects of the clickbait problem on the YouTube platform during a talk at IMDEA premises on 08/03/17. 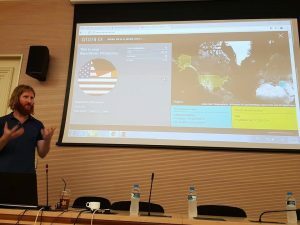 During his talk, the participants were presented with several examples of clickbaits on the YouTube and the various misleading techniques that are used by the video uploaders. He also presented an innovative deep learning model for discerning clickbait videos in an automated manner. During the16th International School on Foundations of Security Analysis and Design Programme, Dr Emiliano De Cristofaro presented “Privacy-preserving Information Sharing: Tools and Applications. 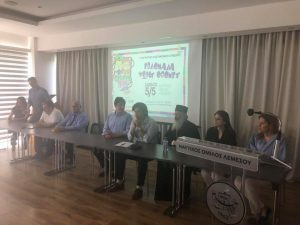 The Parents Association of Elementary School of Kapsalos ”“ Limassol, Cyprus, organised a presentation for the protection of minors from malicious actors in online social networks. Dr. Sirivianos Michael Lecturer in Computer Engineering and Informatics at TEPAK presented advice on the safe use of the internet by children and their guardians. Prof. Panayiotis Zaphiris presented the ENCASE project at the IFIP TC13 Open Symposium. The meeting took place between March 10th and March 12th, 2016 at the University of West London, UK. 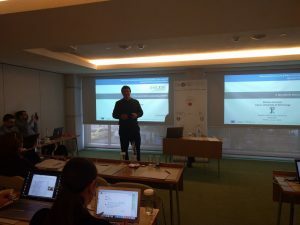 The ENCASE kick-off meeting took place in Limassol, Cyprus successfully. 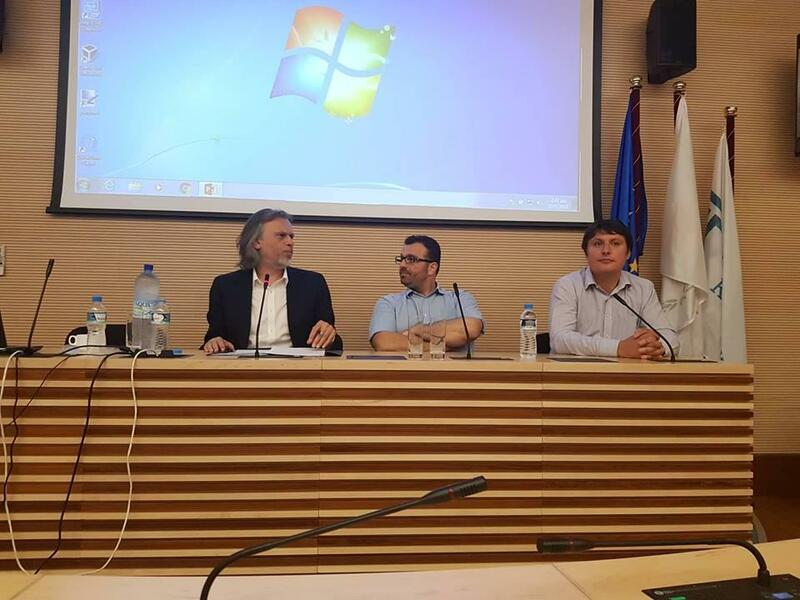 It was organized and hosted by the Cyprus University of Technology at Auditorium 1 Building Tassos Papadopoulos. ENCASE is funded by the European Commission's Horizon 2020 Research and Innovation Framework program under the Marie Skłodowska-Curie Research and Innovation Staff Exchanges Action, Grant Agreement No. 691025. This project supports the efforts of the Research Executive Agency (REA) for Open Access to scientific results. ENCASE openly links its publications, software, datasets and other artifacts with its project information as required by REA. ENCASE closely collaborates with the CEF-TC-2018-1 action CYberSafetyII, to spread awareness to young children, parents, and educators. 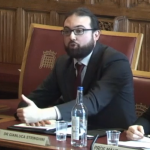 We are honored to see that our research on #hatespeech, #disinformation, and #radicalization influences reports from regulators like the European Parliament. Online disinformation and alt-right radicalization is a real threat and we are doing our best to understand it. We are happy and honored to see that our research influences reports by policy makers like the European Parliament. 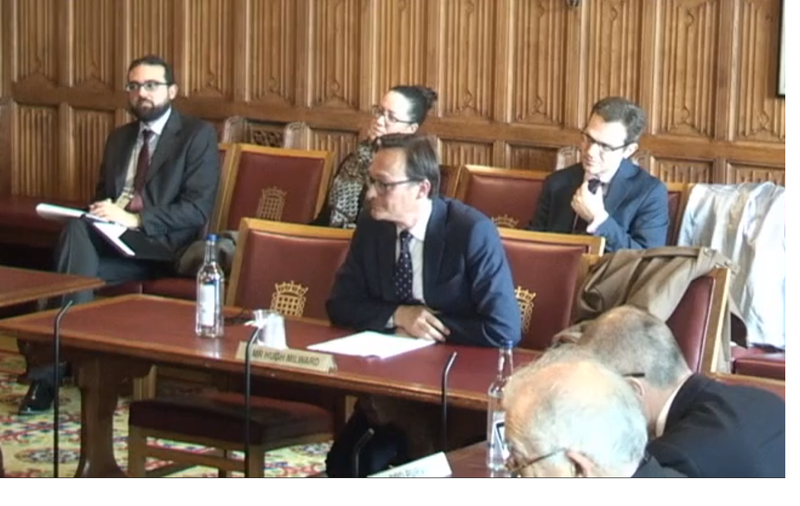 The report cites more than twelve ENCASE publications on #hatespeech, #disinformation, and #radicalization. The Washington Post reports on young children being exposed to disturbing YouTube videos and refers to our study. "Critics also say the problem is not visibly improving. Typing “Peppa” into YouTube’s search engine, for example, generated at least one recommended video that the researchers classified as “disturbing” 70 percent of the time, according to research published in January based on reviews of 2,500 YouTube videos. The researchers also found that children have a 45 percent chance of seeing at least one “disturbing” or otherwise inappropriate video within 10 clips — a stretch that often amounts to an hour or so of viewing. Some inappropriate videos were crude animations, some featured actors wearing costumes. Still others, including the marijuana-themed Peppa video, were actual children’s videos that had been doctored with new words and images spliced into the original." 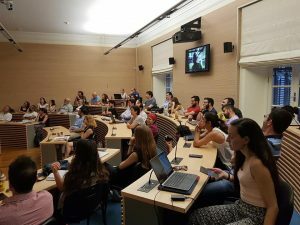 "Graduate students at Cyprus University of Technology who reviewed the videos featuring several characters popular with young children found that the fake videos often contained violence, profanity and sexually charged behavior. “I’m a parent. It’s definitely happening more often than I’m comfortable with,” said Jeremy Blackburn, a computer science professor at the University of Alabama at Birmingham who co-authored the study and has three children. “The problem is that they can be served and recommended stuff that is not just garbage but inappropriate, just bad stuff"